Explore serenity and well-being at this Luxury Phuket Resort with various lifestyle activities. The resort offers a fully equipped Fit Lounge. Workout in a modern and efficient atmosphere to challenge yourself physical and mentally. Experience a new blend of a sea-front setting and healing services when experiencing Dhatri Spa at this Phuket Resort. If you are seeking relaxation, Pullman Phuket Arcadia Naithon Beach is an ideal choice to Check In and Chill Out. 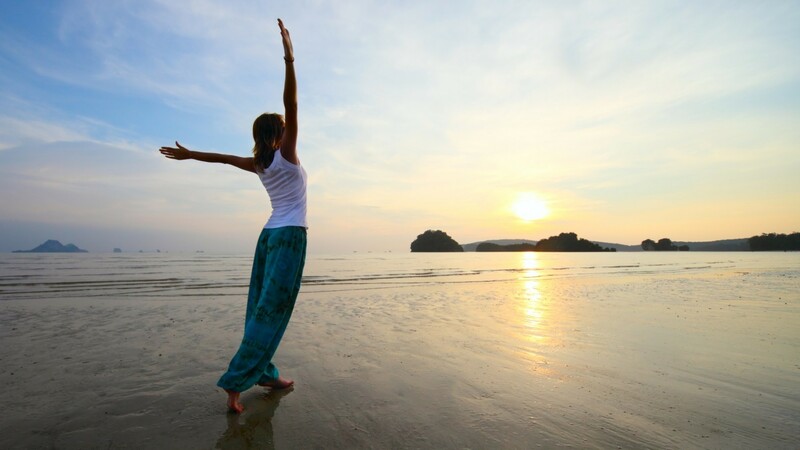 Balance your mind, body & soul and experience a world of tranquility at the best Phuket resort and spa. Dhatri(Sanskrit), the Goddess of well-being and tranquillity, offers rejuvenating treatments by the sea, with traditional Thai massage, aromatherapy for relaxation, and a number of specialised treatments. Dhatri Spa is recently a continent winner in the best luxury fitness spa awards category from World luxury spa award 2017. Dhatri Spa also offers a Dhatri spa gift voucher. Share the Pullman Phuket Arcadia experience by sending an Spa Gift Voucher for any occasion. The perfect gift for your loved ones. – Dhatri Spa menu items must be pre- selected. – The Dhatri spa Gift Voucher does not apply with any other spa promotions, Travel agent packages, and Tour operator deals. – Expire within one month from the purchasing date. No extension will be given after the Expiration date. – The total amount of spa menu pricing must be confirmed with payment. – Non-refundable and non-redeemable for cash. Fully equipped Fitness Center with Kinesis stations, the Fit Lounge creates a healthy, modern and efficient atmosphere, strengthening the bond between body, mind and soul. Choose from two swimming pools at Pullman Phuket Arcadia: one located in a secluded area, overlooking the Andaman Sea whilst the other showcases the beautiful surroundings of our resort, perfect for both fitness and fun. Connect your body & mind by refreshing your energy with Yogilates , Hatha Yoga, Ashtanga Yoga, Water Yoga, Tai Chi, Water Tai Chi, Aqua Aerobics, Muay Thai, Stretching and balancing bodywork to maintain perfect wellness. ⦁	Activities shown with ** are chargeable. ⦁	All prices are subject to 10% service charge and 7% vat. Reservations are recommended for all activities. to make a reservation, please contact our lifestyle team via ext. “5097” or “0”. Voted by locals to be one of Phuket’s best locations for Snorkeling right on your door step at Naithon Beach. Join us on the 2 hour trip every Tuesday, Thursday and Saturday at 1 pm and enjoy a once in a lifetime experience. Travel by a long-tail boat, and see an array of multi-colored fish, starsh and other sea creatures. All equipment, supervision and fresh fruits and refreshments are provided. Contact Lifestyle Team at the Phuket resort +66 (0)76 303 299 (ext. 5097) to book your snorkeling trip. Our qualified Lifestyle Team will keep your kids active and entertained all day (9:00am to 8:00pm) with different activities waking up their creativity and curiosity. Enjoy a break or meal out without the kids. Our qualified babysitting service is available upon request at the Front Desk.